Within the last ten years, compact crossover SUVs have risen to become one of the most popular vehicle classes on the road. Because of this, drivers shopping in this segment have plenty of options. All of this is to say that it takes a lot to stand out. Luckily, the 2019 Volkswagen Tiguan has what it takes. As a model that offers more space for cargo and passengers than the typical compact crossover, the 2019 Volkswagen Tiguan is built for practicality. You wouldn’t guess that is has such a pragmatic focus from looking at it, however. 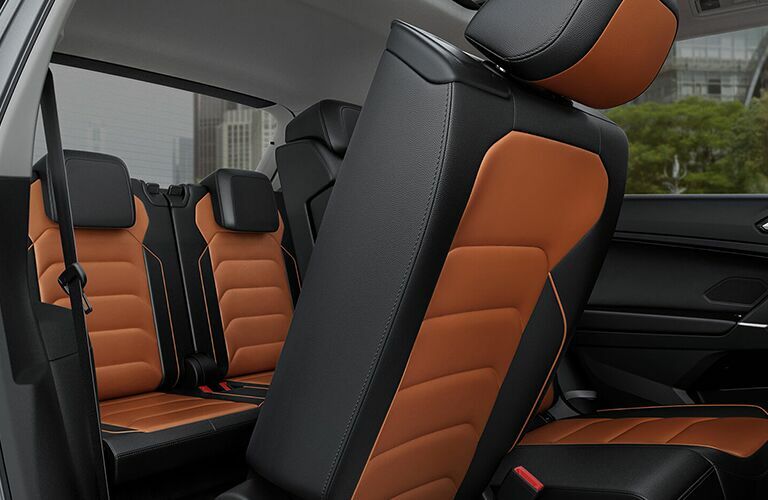 The 2019 Volkswagen Tiguan also stands out in this crowded class with its sophisticated exterior design and welcoming, luxurious interior. 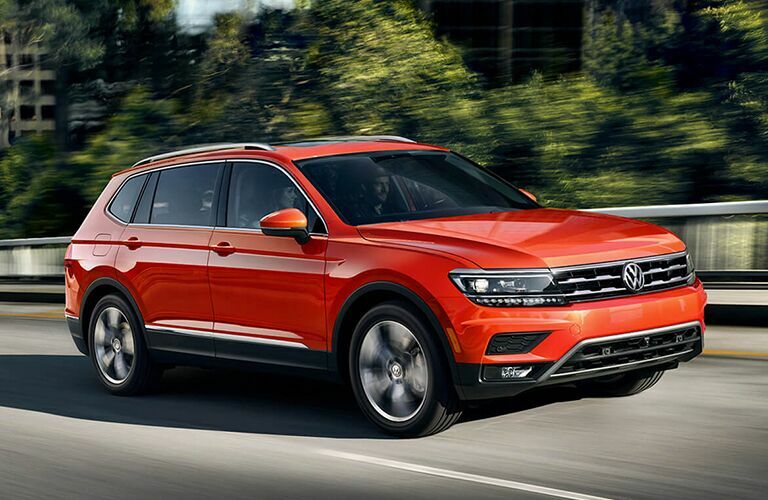 Shop New VW Tiguan Inventory Now! 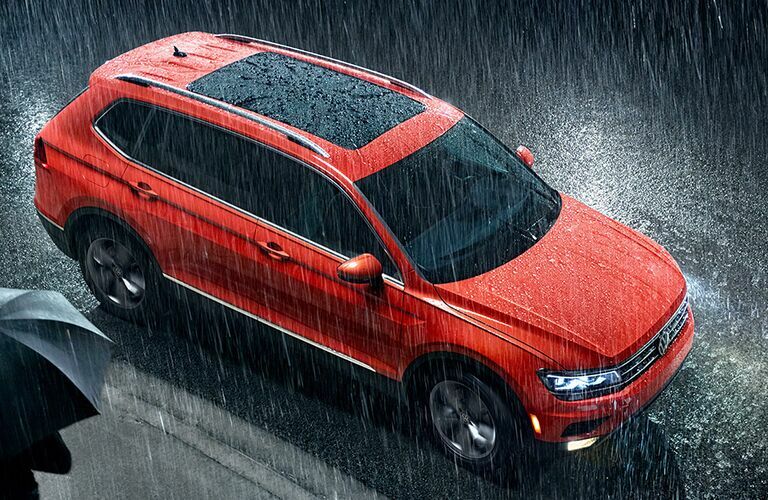 The VW Tiguan is a model that exemplifies Volkswagen’s commitment to high-value and comfortable transportation. Loaded with standard technology, third-row seating and featuring a timeless and elegant design, the 2019 VW Tiguan looks like nothing in its class in the best possible way. Powering your 2019 Volkswagen Tiguan, the 2.0L TSI® engine puts out an exhilarating 184 horsepower of turbocharged fun. It also lets you enjoy up to 29 highway miles per gallon meaning that fun won’t cost you at the pump. Available Volkswagen Digital Cockpit replaces your traditional meter clusters with a large, high-resolution screen that lets you have instant access to automotive information, navigation and more. With so much technology and functionality built into a beautiful crossover, you really have to see the 2019 Volkswagen Tiguan in person to experience it fully. Contact us today to schedule a test drive with the 2019 Tiguan!